The smell of rotting, decaying flesh is not something you should aspire to smell. Trust me on that one. 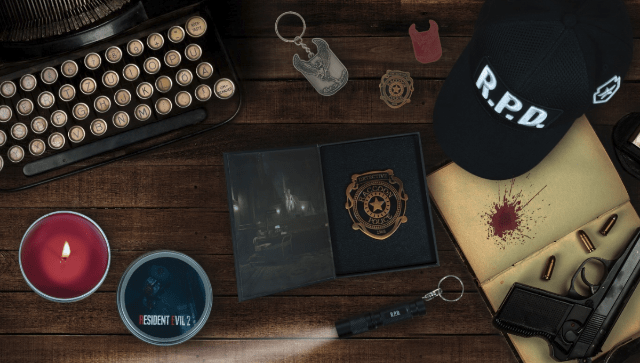 If you still insist though, then our old friends at Numskull have got your back once again with their latest merchandise range announcement, this time for the upcoming Resident Evil 2 remake. Following on from the success of their Resident Evil 7 candle – featuring a different kind of Baker smell – Numskull will be bringing out another scented candle for the RE2 remake, along with a whole load of other goodies to get your zombie chops round. 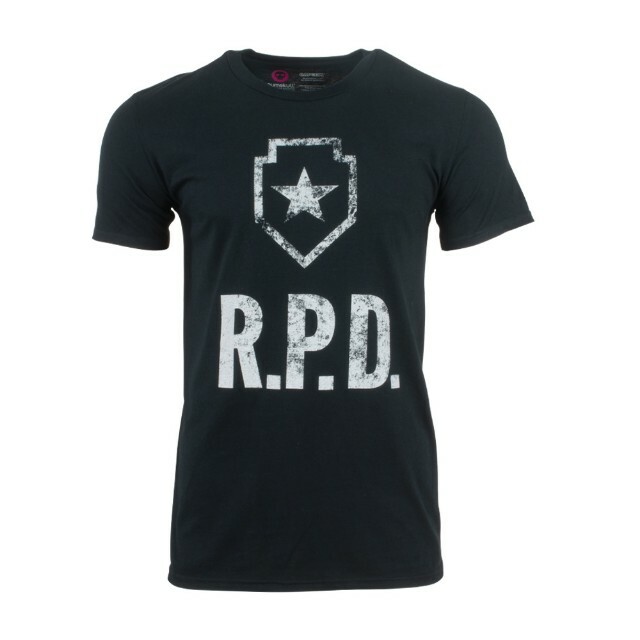 Ever fancied yourself as a member of Raccoon City’s finest? 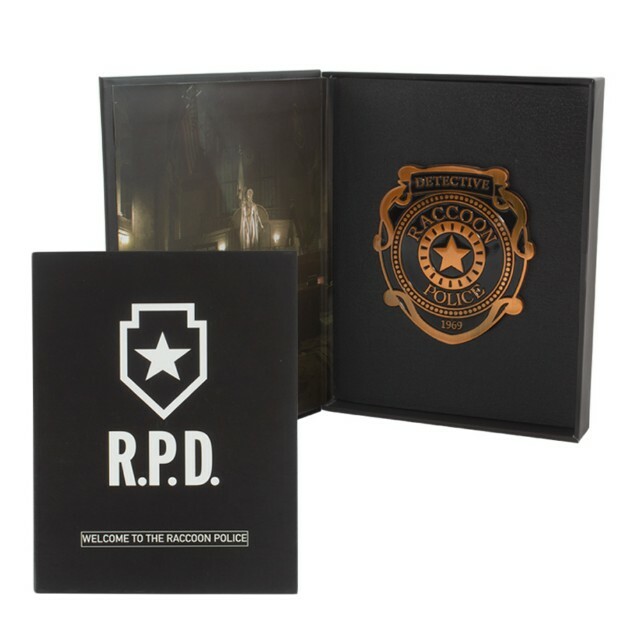 Now you can take your cosplay to the next level with the Raccoon City Police Department pin badge. This larger than normal pin comes inside a presentation box also displaying the RPD proudly on the lid, so you can also proudly display it in there when you are off duty. This is available in the presentation box for £9.99. Another pin badge is also available with the ‘Made in Heaven’ logo and can be purchased with the police pin badge – excluding presentation box for £6.99. The ‘Made in Heaven’ logo is also available on a brand-new t-shirt and keyring priced at £14.99 and £4.99 respectively. 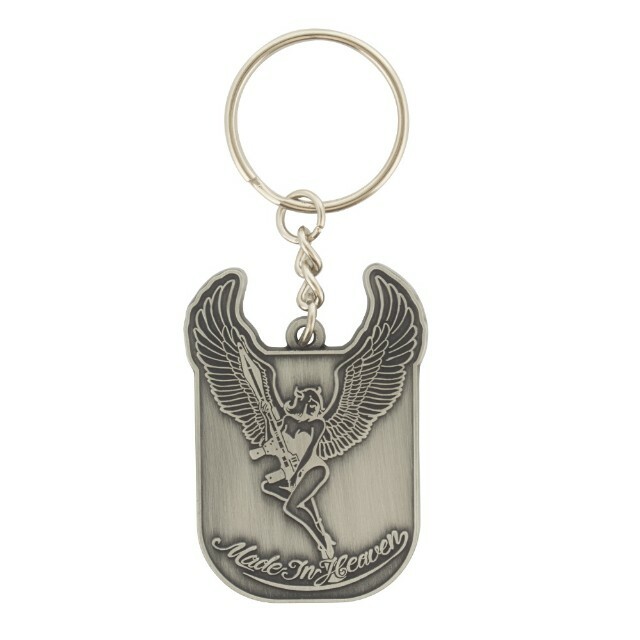 The keyring is made of metal with the logo popping out of the shield design. 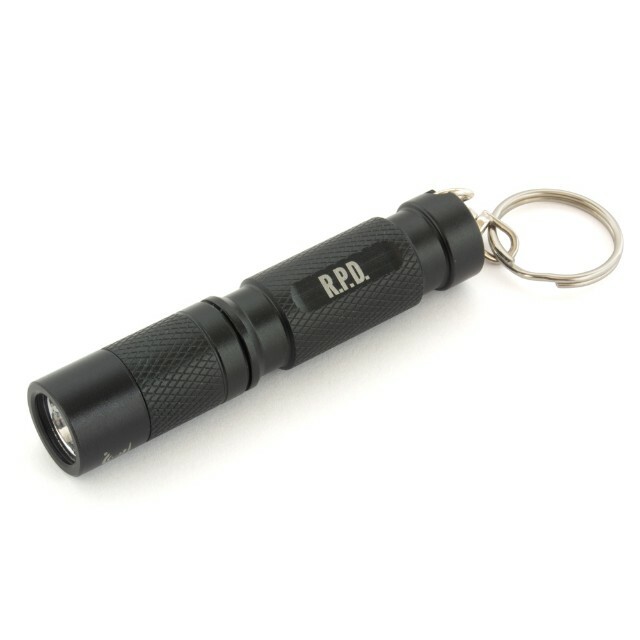 If you require a more practical keyring, then there is also a working flashlight keyring, inspired by the flashlight Leon used in the original game. This also features the Raccoon Police Department logo on the side and is priced at £9.99. Finally, the Raccoon Police Department adorns a new snapback hat (£14.99), steel mug (£12.99) and another t-shirt (£14.99). On the hat, the logo is 3D embroidered on the front, with the symbol on the side. 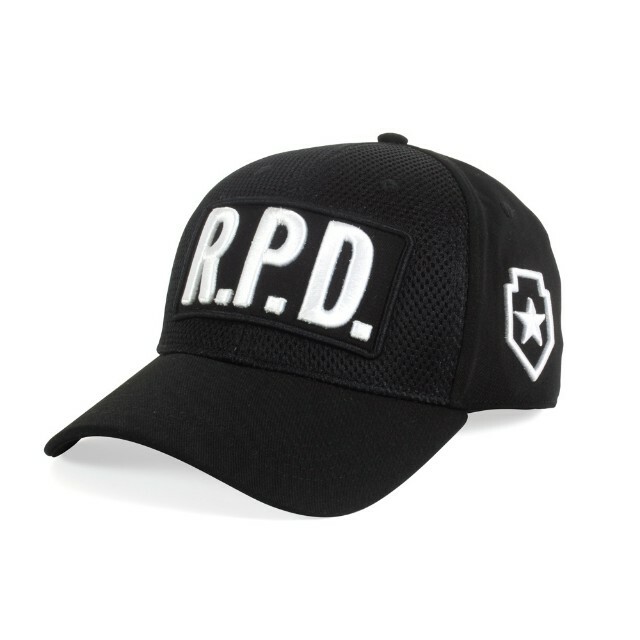 Inside the hat, the Resident Evil 2 logo is visible on the inside stitching. The t-shirt has a purposefully faded look and is available in unisex sizes Small-2XL. You can also check out the trailer below to get a better glimpse of some of the items available. All the items listed are available to pre-order now from www.geekstore.com – along with a ton of Christmas gift ideas – and will be with you in time for when the remake launches on 25th January 2019. As always, let us know in the comments below what you will be picking up from Numskull’s Resident Evil 2 merchandise range. The more I think about that candle, the more intrigued I am! Previous articleSpyro Soars: What Could Activision Become?